From the iconic seven-slot grille and strong stance to the available bold exterior colors, the Renegade is definitely a Jeep Brand vehicle. For exploring new trails or heading out on the town, the 2018 Jeep Renegade is ready, willing and able. There is so much storage space in this thing that we dare you to try and fill it. 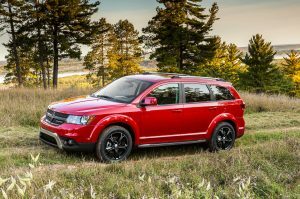 You will see that the Dodge Journey was built to grow with your family so that you can continue to bring all your adventures along for the ride. 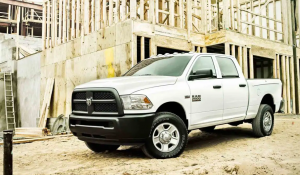 Ram Heavy Duty trucks are built to last for years to come, having endured upwards of 40,000 hours of intense vehicle system testing in the harshest scenarios on and off the road. Proven power and rugged capabilities combine to keep your truck going for as long as do. All remaining 2018 model vehicles are on sale! Stop in this weekend for deep discounts!